Acne blemishes can cause the skin to become red and inflamed and can leave behind unsightly marks that can be difficult to get rid of. Luckily, there are many home remedies that will help remove and diminish these red marks, and will leave you with a smooth, balanced complexion. 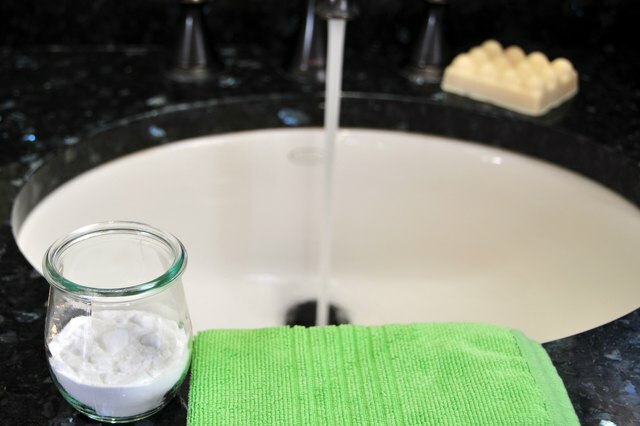 Alkaline substances, such as pure baking soda, works to lift dead skin cells without the need for aggressive rubbing or scrubbing in order to do so. Baking soda can help diminish red spots and skin discolorations quickly, especially when used as a facial scrub. 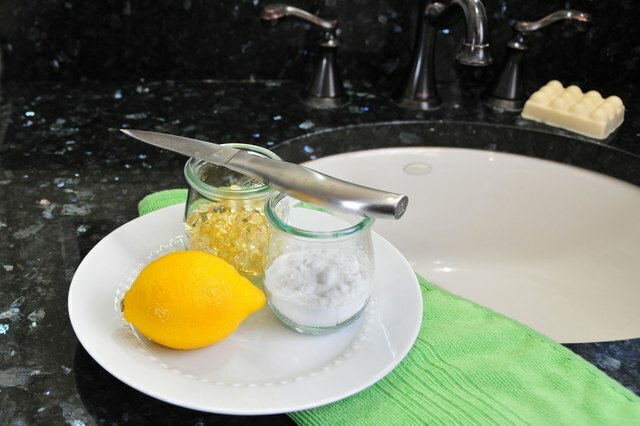 To create a baking soda scrub, combine 2 tablespoons of baking soda with a drizzle of water until you make a soft paste. Massage the baking soda paste around the face using small, circular motions. Focus on the areas of the most scarring and red spots. After around 30 seconds, rinse your face well with warm water. Repeat this process once per day to help diminish red spots from acne. Lemon juice is high in citric acid and will help increase skin cell turnover. This allows the skin to slough off discolorations and red spots and bring up new, smooth skin. Lemon juice is most beneficial when used in its undiluted, full-strength form, as this has the highest concentration of citric acid. You can apply lemon juice to the skin either by spraying it through a spray bottle or wiping it onto the skin using a cotton pad. If using a spray bottle, make sure that the bottle is clean and empty. 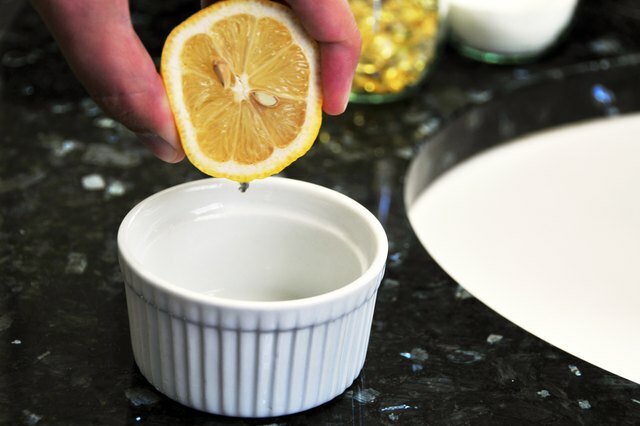 Whichever method you use, apply the lemon juice to the skin, allowing it to dry completely. You can use lemon juice on red marks up to three times a day. Vitamin E oil is extremely nourishing to the skin and helps fight off free radicals that can cause irritation or inflammation. Massaging vitamin E oil onto the skin can lighten red marks and acne scars and helps the skin heal much faster than it would without its use. You can find vitamin E oil at any supermarket or health food store. Pour a small amount of the oil onto your fingertips, then gently massage the oil right onto the acne scarring or red marks. 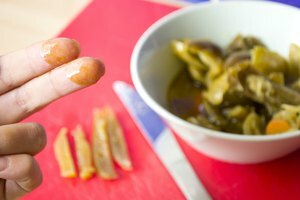 Continue to massage the oil into the skin for at least two minutes. You can repeat this once per day in order to treat acne red marks. 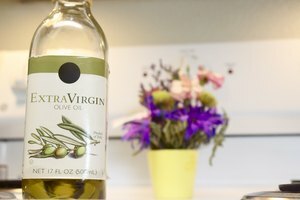 Can Olive Oil Help With Stretch Marks?